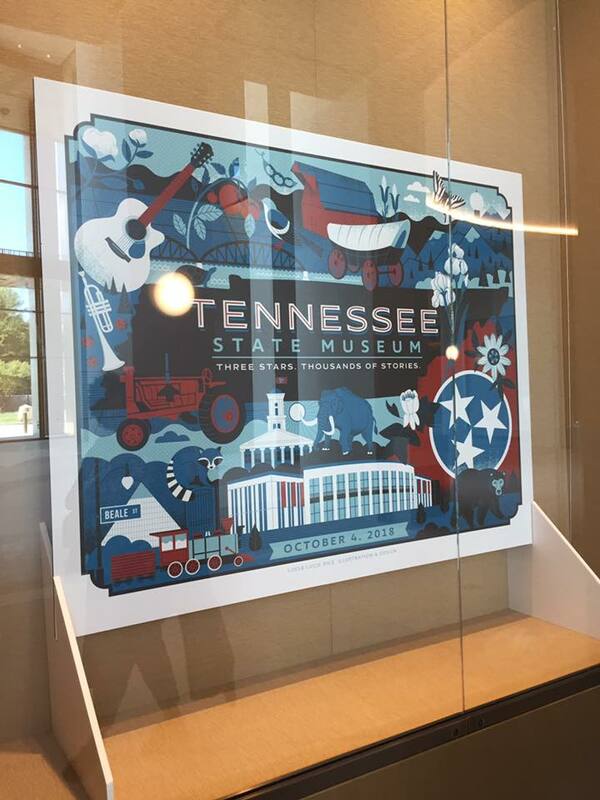 Earlier today, I had the opportunity to explore the new Tennessee State Museum during its ribbon cutting ceremony and grand opening on the grounds of the Tennessee Bicentennial Capitol Mall. It's as amazing as advertised, with lots of interactive exhibits exploring Tennessee's history, from prehistory to present day. 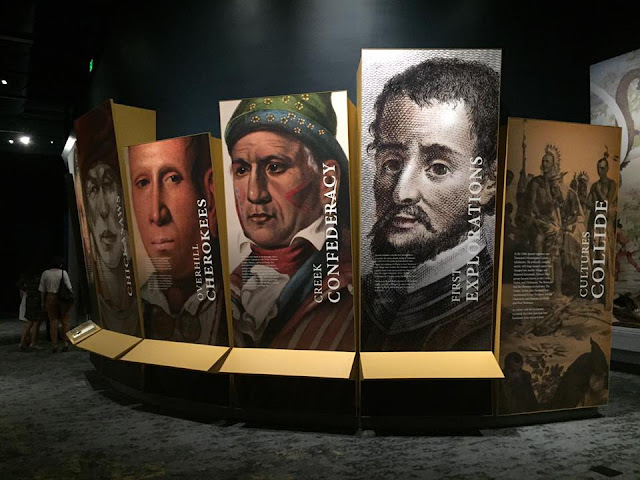 While I would highly recommend a deep dive into all the exhibits on display, I focused most of my time during this first visit on two of the museum's permanent exhibits, "First Peoples (13,000 BCE to 1760 CE)" and "Forging a Nation (1760 to 1860)." My pictures simply cannot do this amazing place justice, but I'll share them with you anyway. You'd do better by visiting the place in person. There's so much to see. 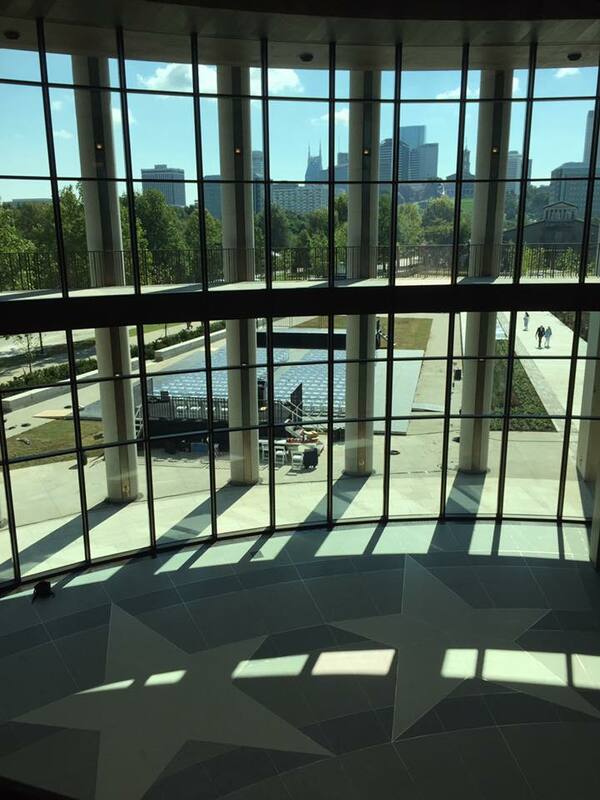 Governor Bill Haslam speaks during the ribbon cutting ceremony at the new Tennessee State Museum. Seated are Tom Smith, Chairman of the Museum Commission, Ashley Howell, Executive Director of the Museum, and U.S. Senator Lamar Alexander. Charles Willson Peale's portrait of John Sevier, on display alongside uniforms worn by soldiers and militiamen of the period prior to and during the American Revolution. “Gathering of the Overmountain Men at Sycamore Shoals“ by Lloyd Branson. 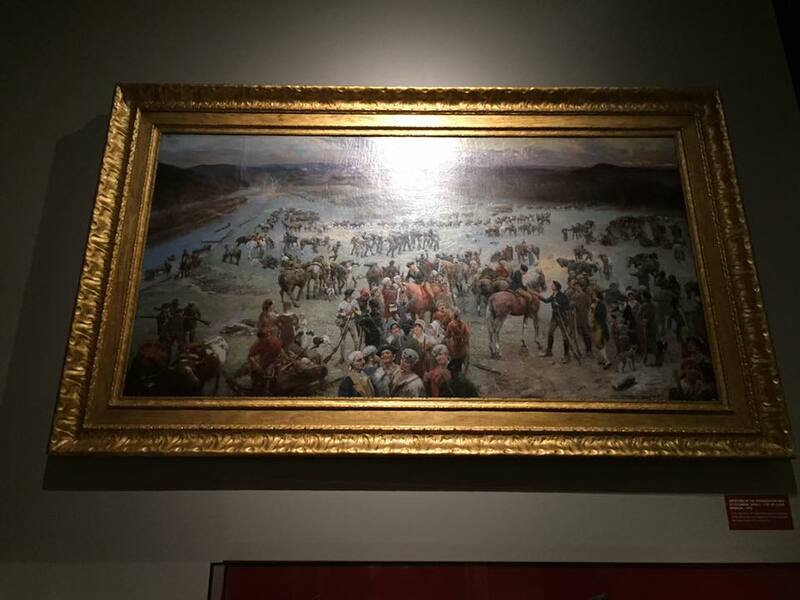 It’s been over thirty years since this painting has been exhibited in its original frame and even longer since it was in its original condition. 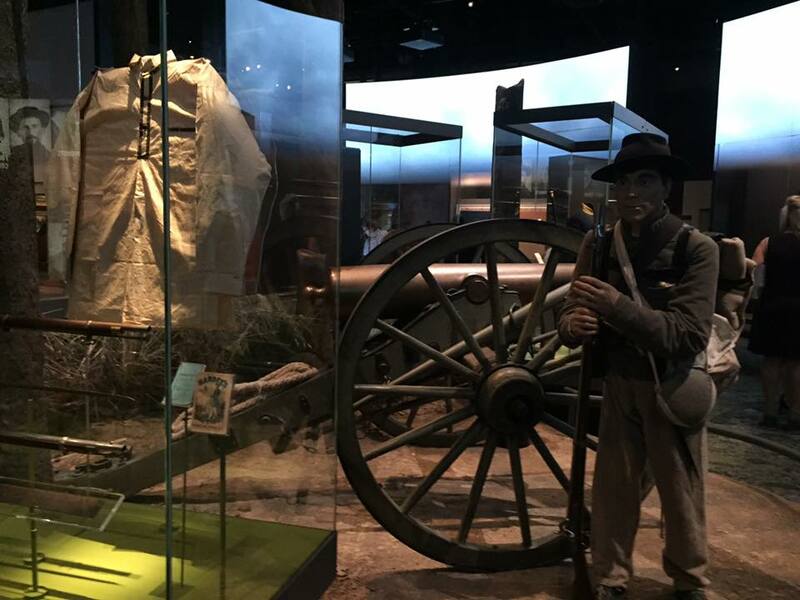 Some Civil War exhibits on display in the Civil War and Reconstruction wing of the new museum. 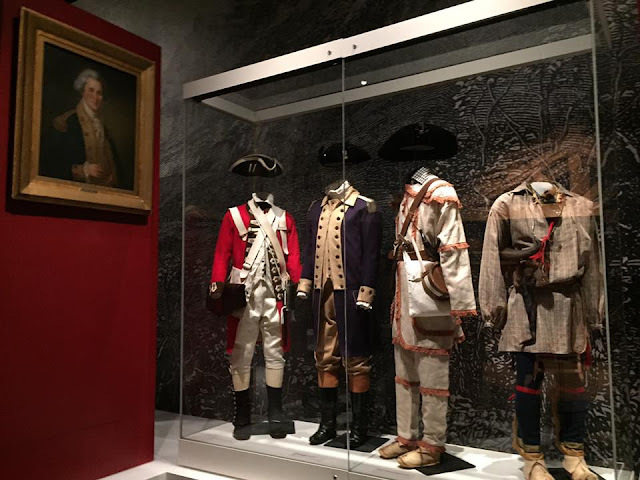 A portion of the First Peoples exhibit, including the Overhill Cherokee. 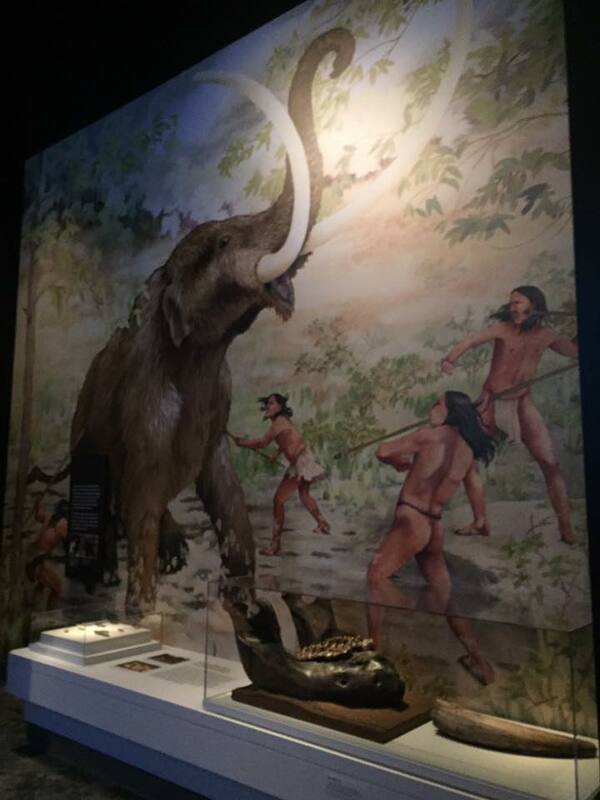 A massive Mastodon jaw bone on display. It's amazing to think that these beasts once roamed here. Artifacts interpreting the slave economy, early whiskey and textile industries, and music, arts, and crafts. So much to see here. A beautiful view of the Nashville skyline from inside the new Tennessee State Museum. "Three Stars. Thousands of Stories." A poster commemorating the date of this historic occasion. 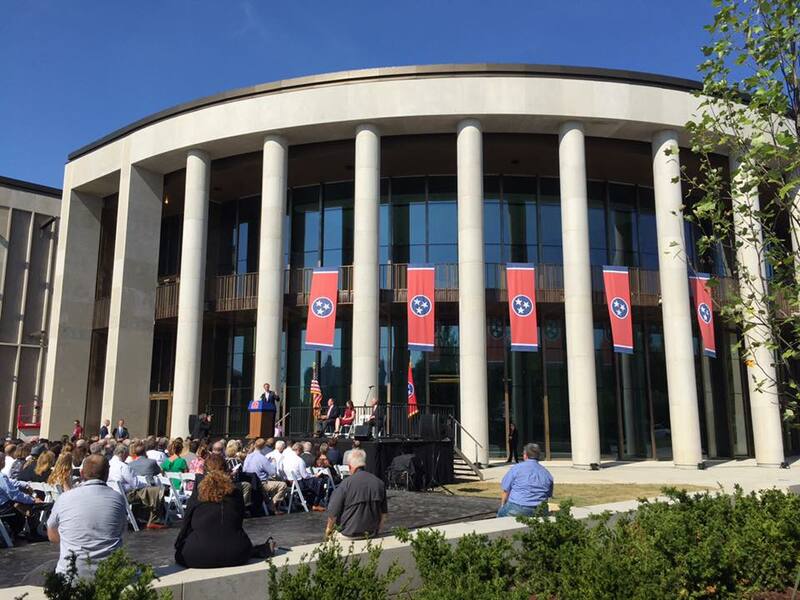 This was truly a historic occasion for the citizens of our state and for those who care for our history. I'm excited to see the vision for a new state museum finally come into focus and I'm looking forward to many more visits in the days and weeks and years to come. I'm also thrilled for my friends and professional colleagues in public history working there. 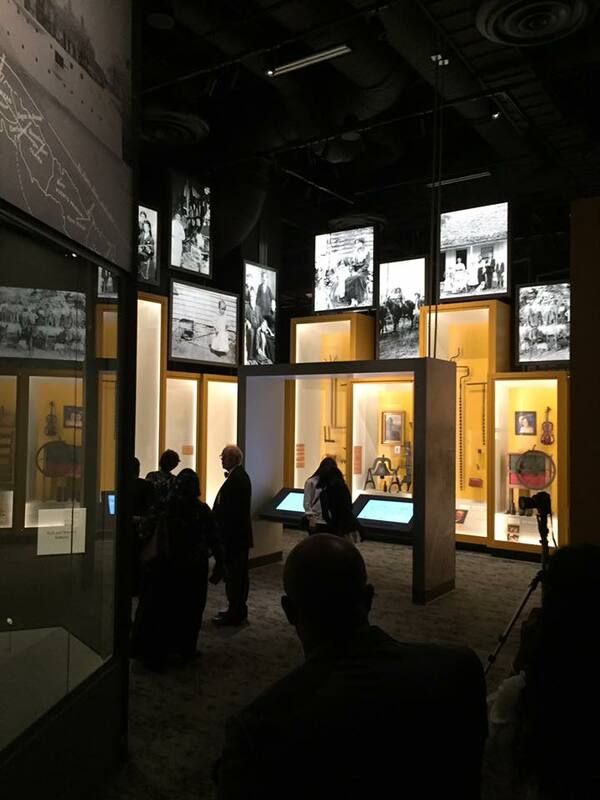 This grand opening was a long time in coming and a lot of work went into the preparations for this historic moment. You've made our state proud. Welcome home!